Hamby Home(in)stead ...: Sampling the scones! 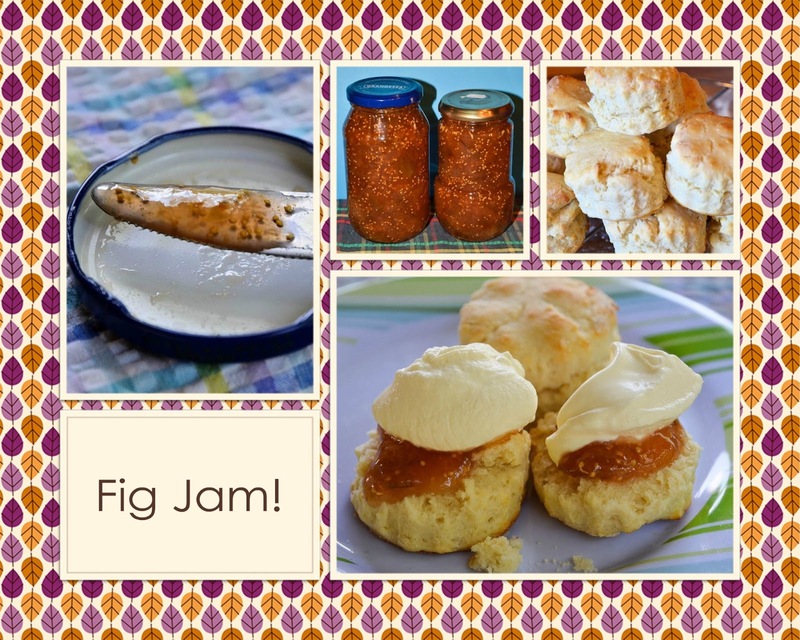 We sampled another batch of fig jam today. I made scones specially for the taste testing. Sometimes I use a lemonade scone recipe but these were the real deal made with butter and milk, done proper! The double-cream was a serendipitous find in the fridge. Fancy forgetting that was there, eh?! (I dolloped it generously with a dessert spoon, in spite of Nick's suggestion that a teaspoon would be more appropriate)! Oh, and the verdict? Not bad. Not bad at all. A very successful first batch of sweet fig jam - and the scones were pretty good too! They were rather splendid - the double cream made 'em doubly good!